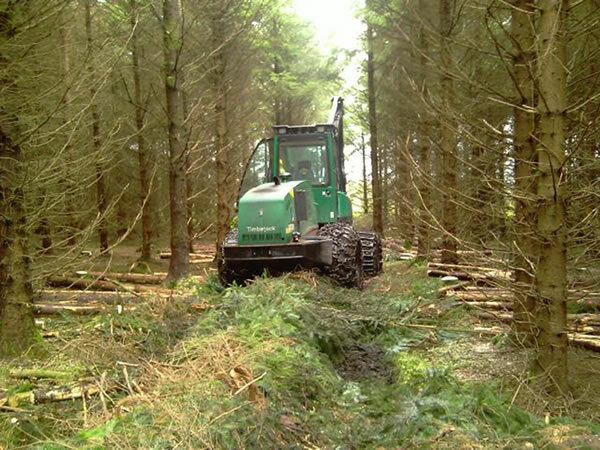 Commercial forestry plantations need to be thinned during the forestry crop rotation period in order to remove poorly performing trees and thus create less competition for light and nutrients for the remaining trees. These remaining trees will ultimately become the higher value commercial crop for subsequent thinning operations and ultimately when the plantation is felled. 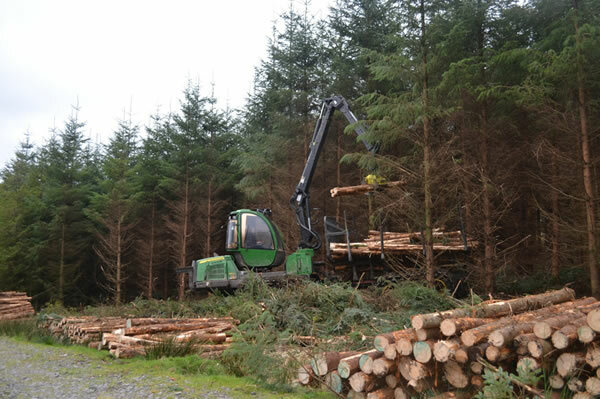 Thinning operations enable premium trees to increase in volume in a shorter period of time while also developing into valuable timber. It is a vital part of plantation management and increases profitability in the long term. Thinning provides intermediate income at 3-5 years intervals and first thinning operations usually commence when a forest reaches 16 years of age. Income from first thinning is low in value, however as the plantation matures, the income from subsequent thinnings increases substantially. The majority of income is secured at the end of rotation when the crop is clear-felled. Typically first thinnings provide low value timber which is used for stakes, pallets and pulp. Subsequent thinnings provide greater volumes of stake wood and pallet wood and less pulp. Final clearfell generates a high proportion of construction grade timber which is the highest value timber product. Copyright © 2015 Irish Forestry Funds. All Rights Reserved.